When trying to make decisions that support a healthy lifestyle, it seems that healthy food advice is everywhere. But, when it comes to supplements, it not uncommon to draw a complete blank. I mean, where do you even begin when it comes to the absolute plethora of supplements and products out there? Well, let me give you a great starting point: Vitamin C. Now, you may be thinking, hold on hold on, you’re cheating me out of some really sophisticated and long-winded names that I can’t even pronounce. But let me tell you, this magic vitamin does WAY more than just protect against the common cold, it helps protect against pretty much anything your body is trying to fight off. Vitamin C is a powerful immune boost, helping the body fight off foreign invaders. It’s also one of the antioxidant ‘key players’, protecting your body against nasty free radical damage that can contribute to every degenerative disease in the proverbial book. But, my favourite fact about Vitamin C is the role it plays in stress relief. When stresses are high, our bodies burn through large amounts of this amazing nutrient, leaving us vulnerable to illness. See the connection there? We need lots of Vitamin C so we don’t get sick, but it’s when we’re stressed that it’s naturally the lowest. So, how do you know how much you need? 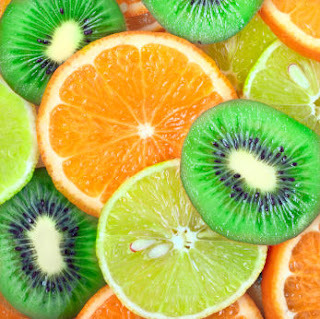 Well, Vitamin C is a water-soluble vitamin, which means that the body uses what it needs, and gets rid of the rest. That’s right folks, you pee it out. When are bodies are under a lot of stress, Vitamin C tolerance can be a lot higher than you think. The daily recommended dose for Vitamin C is between 200-400mg, but cancer patients can take up to 15,000 daily with no damage to the body. So, there is definitely nothing wrong with upping your dose when tension is high and the immune system is low. 2000mg is a good standard dose during a stressful time. If you want to test your tolerance, increase your intake by a 1000mg a day until your bowel tolerance (when your tummy gets mildly upset), and that’s your physical limit. But bare in mind, it’s constantly changing with your needs. I can regularly ingest 6000-8000mg/day without flinching. So, what’s your limit?